As one of the two major teams from the great state of Texas, sports bettors can be sure that the Houston Texans has got a big fan base. The team is one of the newest within in the league, with a history that is just about twenty years in total, and thus is hungry to make their mark within the National Football League (NFL), especially as they have not yet won a Super Bowl or a Conference Championship. Perhaps, the time of the Houston Texans is coming up on the horizon soon though? If you’re looking to place a bet on the Houston Texans, look no further than the sports books listed here. They truly are some of the best available NFL sports betting sites. 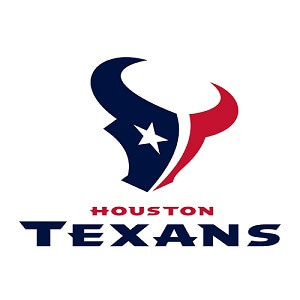 As already previously mentioned, the Houston Texans are one of the newest teams in the NFL. Partly due to this fact, the team does not really have a rich history filled with championship victories. They really still are waiting on a big Conference and Super Bowl win. This is understandable as it is hard to get started in one of the most competitive sports in the world. Early seasons in the team’s history were plagued by poor performance and league records that had more losses than wins. However, towards the mid-2000s, this began to change and the team began seeing more even win-loss ratios. The Houston Texans have seen some actual success this last decade, taking four AFC South Division championships home (the most recent being that of 2016). However, they have yet to make it to a Conference Championship game, often bowing out at the divisional playoffs (the New England Patriots have proven to be a pretty tough team to beat). With the team performing relatively well in recent years, perhaps it won’t be long before the Houston Texans have their hands on the Vince Lombardi Trophy.